Se intampla uneori sa tii in frigider diverse alimente pe care le-ai cumparat fara un scop precis sau care au ramas dupa ce ai facut o reteta. Ei bine, eu m-am ales cu trei rodii mari si o mana de fructe de padure congelate. Marturisesc faptul ca sunt mare fan suc de rodii dar inca nu am descoperit o metoda de a-l prepara fara a transforma bucataria intr-un camp de lupta. Oricate filmulete am vazut pe internet cu metode eficiente de desfacere a acestui fruct, se pare ca pentru mine nu merge nimic. Cu toate astea am reusit sa curat cumva cele trei rodii mari pe care le aveam si sa le transform impreuna cu fructele de padure intr-un desert acrisor. It happens sometimes to keep in the fridge various foods which were bought without a precise purpose or which remained after you cooked some other recipe. Well, I had three big pomegranates and some frozen forest fruits. I must admit I am a big fan of pomegranate fresh juice but I still didn’t found a method to prepare it without transforming my kitchen in a fighting field. I saw many short movies on the internet with efficient methods of cutting and peeling these fruits but it seems that nothing is suitable for me. Despite this I managed somehow to cut the three pomegranates that I had in my fridge and to transform them together with the forest fruits in a sweet and sour dessert. Am pus rodiile, fructele de padure, zaharul si apa intr-un vas la fiert, timp de aproximativ 40 de minute. Dupa ce fructele au fiert, compozitia a fost strecurata si pasata printr-o sita. Gelatina am hidratat-o cu o lingura de apa intr-un pahar. Apoi am adaugat-o in vasul in care am pus piureul de fructe si am amestecat bine. Compozitia se incalzeste usor timp de cateva minute. Atentie-nu se va fierbe deoarece gelatina isi pierde propietatile. Jeleul obtinut se pune in recipiente monoportii si se lasa la racit. Apoi se decoreaza cu biscuiti sfaramati si caramel. I put the pomegranates, forest fruits, sugar and water in a pot, to boil, for about 40 minutes. After they boiled, the composition was strained and mashed through a strain. I hydrated the gelatin with a tablespoon of water, in a glass. I put the gelatin in the pot where earlier I put the fruit puree and I stirred well. The composition will be warmed for few minutes. Pay attention-you mustn’t boil the composition because the gelatin will loose its properties. The jelly that was obtained will be put in mono portion recipients and will be left to cool off. 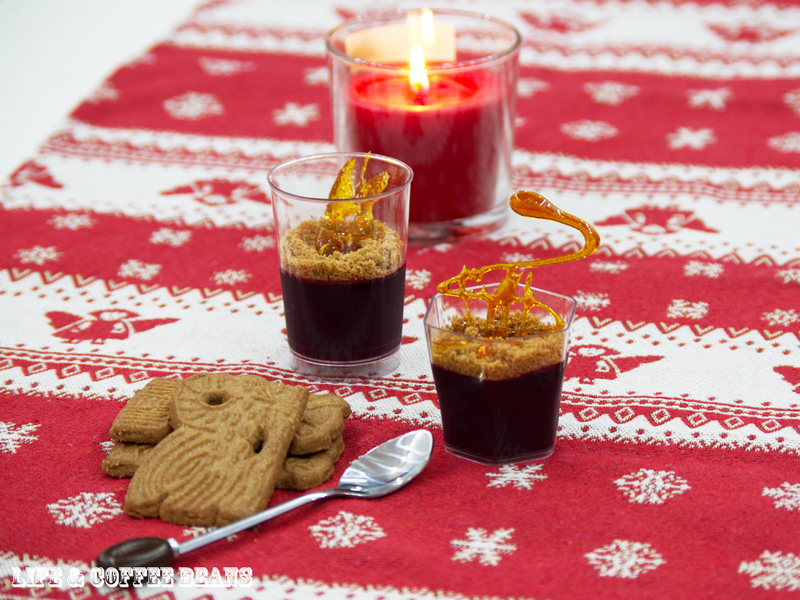 When is ready, the jelly can be decorated with biscuits crumbs and caramel decorations. I simply want to mention I am just beginner to blogs and seriously enjoyed your web site. Likely I’m going to bookmark your blog post . You absolutely come with incredible writings. Thanks a bunch for revealing your web page. Payment processing companies like Bitpay are making it easier after shops to take Bitcoin. But as paralytic as I can tell, most transactions in Bitcoin and other cryptocurrencies are bourse: le cours du bitcoin inter-currency speculative trades: US dollars for Bitcoins, Bitcoins on the side of dollars, Chinese yuan repayment for Bitcoins, Bitcoins in the course of other cryptocurrencies, Dollars for Ripples, and so on. So they are kept at USD on the webpage but when you achieve the pc it intent be communicated visible as CAD currency and charge you with ici le cours du bitcoin CAD currency. It won’t debit more barely the converted cost between the two. I craving this was advantageous and if you take a question amuse manipulate delivered to ask and I will be more than talented to resist you. Congratulations, you have reached 4.000 hours of support and 1,000 subscriptions in the last 12 months! Your channel is currently under le cours du bitcoin: partenaires go over again for the terms of the YouTube Mate Program and in behalf of confirming that your Community guidelines are appropriate. We on the whole email the purposefulness within a week. Cool one! Interesting article over this website. It’s pretty worth enough for me. In my opinion, if all web owners and bloggers made good content as you did, the net will be a lot more useful than ever before.| I could not resist commenting. I ‘ve spent some hours trying to find such infos. I will also share it with a couple of friends interested in it. I’ve just bookmarked this website. Right now with the search done, I will enjoy some model Cams. Danke!! Greetings from Catalonia!